For camping, hiking and prepping, our favorite firestarter is the Original Swedish FireSteal because it’s small, inexpensive, and easy to have on hand. Plus, it’s starts a fire even in cold and wet weather conditions. If you’re without the Original Swedish FireSteal, it’s good to be familiar with alternative ways to start a fire if you need one. 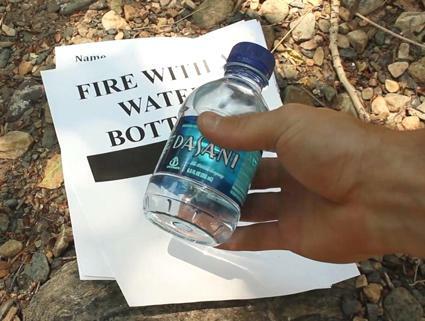 This video shows how you can start a fire with a water bottle and some paper. It would be wise to practice in advance of any emergency situation.